Most parts reviews begin with the stock system, then upgrade it, and rave about how much better it is now. This review going to be a bit backwards. Before trading in my Subaru BRZ for a WRX, I removed some of my aftermarket parts and put the stock ones back on. The most notable of these was my axle back exhaust from Nameless Performance. I ran it for about two years, so for me, having this exhaust seems normal, and the stock one seems new, different, and disappointing. The Nameless Performance axle back is the exhaust the BRZ should have come with from the factory. 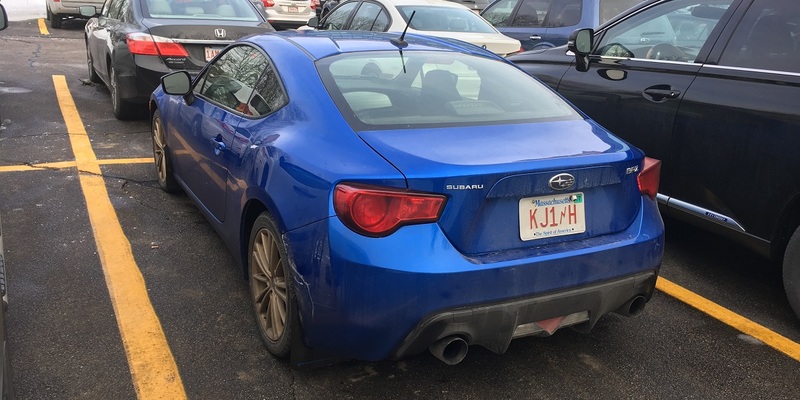 I bought mine used, not new, from a fellow 86 Owners of New England member who had just traded in his BRZ. Sound familiar? The construction quality is excellent. Being stainless steel there was no rust on the exhaust itself, despite being on the car through two winters. After just one winter my stock exhaust had a fair bit of minor surface rust. The bends are smooth, and the welds are superb. From the inlet, the exhaust bends inward to the center of the car, splits into equal length 2″ pipes, and ends with 4″ tips that fill the bumper outlets unlike the stock tips. If you’re buying this new, you have numerous options to select from. You can choose either a 2.5″ or 3″ inlet. Stock is 2.5″, so that’s the one to get if you’re not planning any further upgrades. Go with the 3″ if you’re bumping up the power and/or adding more exhaust goodies later. You can also choose from 5″ or 4″ mufflers, or no mufflers at all. The more muffler, the quieter the sound. 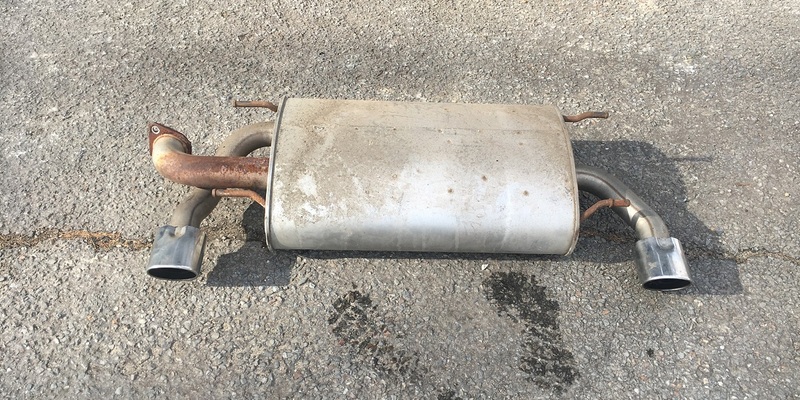 The used one I found was exactly what I wanted – a 2.5″ inlet and 5″ mufflers. Installation was simple enough to be done in my apartment parking lot under the cover of darkness, as I had recently been banned from working on my car there. There are two bolts to disconnect it from the down pipe, and four rubber hangers to pull the stock exhaust out of. Installation is the opposite of removal. Nameless says their exhaust weighs eight pounds less than stock, 17lbs compared to 25lbs for the stock part. I haven’t weighed them personally, but from handling both of them I know that the Nameless part is lighter than stock, but not featherweight either. Nameless freely admits that this exhaust provides no significant horsepower gain. That’s to be expected on an otherwise stock system – the bottlenecks in the exhaust flow are upstream from this point. I appreciate their honesty in stating this up front for those less educated about how exhaust systems work. Personally, I wasn’t looking for a horsepower gain. I was looking for the sound of a sports car, not my ex-wife’s ’96 Impreza, which is what the BRZ’s stock exhaust reminded me of despite being the newer FA motor rather than my ex’s 2.2 EJ. I got exactly the sound I wanted, short of unequal length headers to bring back the famous Subaru burble. Those headers cost more than our Jetta did, so I skipped it. The Nameless exhaust is certainly louder than stock, but you’re not going to wake the neighbors or rattle windows either – at least not with the 5″ mufflers. There’s a nice rumble, and despite the equal length headers a lot of that distinctive boxer sound still comes through. It has a nice hum at idle, a good roar at full tilt, yet the constant drone on the highway isn’t loud enough to be annoying. I’m a very auditory person, and use the sound of the engine to judge my shift points more than the tachometer, or even the BRZ’s built-in programmable shift light, and this exhaust worked great for me. Reinstalling the stock exhaust was a bit of a chore – not because of the parts themselves, but because I live in New England, and nearly three winters on salty roads had molecularly bonded the original nuts and bolts at the inlet into two solid lumps of iron oxide. At least 90% of the work of switching back was cutting these two bolts off. I’d recommend replacing the stock bolts with stainless steel ones to avoid this problem when you upgrade, just in case you do as I (and the previous owner) do and go back to stock later. With new hardware, the stock unit took just minutes to reinstall. Having a garage, light, and not having to be all stealthy about it this time certainly helped, as did power tools for cutting off the rusted bolts. As I laid there under the car, I remembered reading somewhere that the enormous stock muffler also helped with aerodynamics, providing a smooth exit for air passing below the car. I can see that, as compared to the twisty tubes of the Nameless exhaust, not to mention the air dam that the rear bumper became when it was exposed. That said, I’ve personally touched around 110mph on the track with the Nameless exhaust, and never noticed any aerodynamic instability in the rear. I suppose the added drag might slightly affect a top speed run, but I had to brake to avoid the cliff at the end of Palmer’s front straightaway long before maxing the car out. After two years with the Nameless exhaust, driving the BRZ with its stock exhaust was strange. Quiet. Tame. It didn’t feel like my car anymore. This is strange, considering that since the axle back didn’t add any real horsepower the car’s actual performance had not changed at all. It still cornered like a dream (even on snow tires) and accelerated as well as before. But while commuting to work I’d often forget to shift, mainly because I couldn’t hear the engine revving faster or slower than I wanted it to. It brought me back to my ex-wife’s ’96 Impreza. 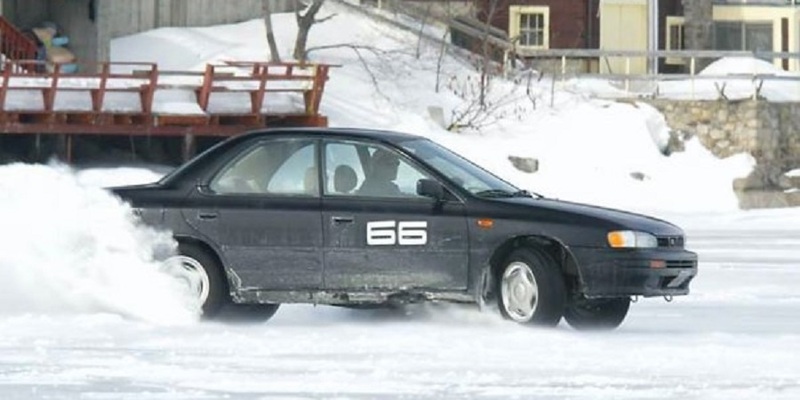 Don’t get me wrong – that Impreza was a great car, as is the BRZ. But it was an economy car, not a sports car, and hearing that sound again subconsciously made me start driving the BRZ like an economy car rather than a sports car. As the late great B.B. King said, “The thrill is gone.” It’s amazing how much something as simple as an exhaust note completely changed my driving experience. This, more than anything, made me ready to part with the BRZ in exchange for the WRX. Once that deep throaty sports car sound was gone, so was the sports car, in my mind. Like the BRZ, I plan to keep my modifications to the WRX relatively minor, in keeping with its role as my daily driver. But Nameless Performance does offer an axle back exhaust for my WRX as well. 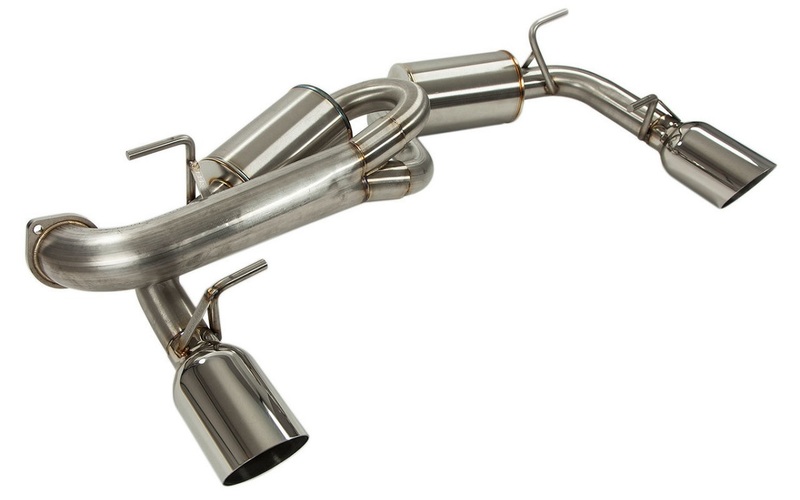 I’m funneling my budget for car fun toward our Jetta Ute project these days, but after spending some time getting used to the WRX in stock form, I may consider a Nameless exhaust upgrade for this car as well.